Anna Nagar Times is leading English newspaper in Tamil Nadu. It covers news, events all over Tamil Nadu with India also. It covers news of Business, politics, Entertainment, sports, local etc. It is weekly newspaper. Chandrika is the Malayalam Newspaper from India. Chandrika Malayamlam Newspaper was started in 1934. It published from Kerala. 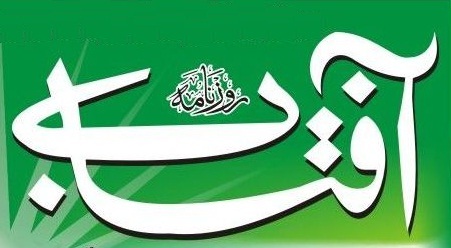 Aftab is the regional Daily Urdu Newspaper from Srinagar (Jammu and Kashmir). It covers all local news with latest news around country. It gives news of Entertainment, sports, education and International News also. Aftab Daily newspaper also started a Online Epaper Copy. Mathrubhumi newspaper's first copy published in 19 March 1923. This newspaper took part in India's freedom movement. It took part in social movements like "Vaikom Satyagraha" and "Guruvayur Satyagraha". There are total sixteen editions of Mathrubhumi. There are total 1.5 millions copies going to publishing across the world. In March 2013. Mathrubhumi newspaper launched first edition in Dubai. There are few other Malayalam News Paper named Kerala Patrika, Kerala Sanchari, Kozhikodan Manorama, Mithavadi, West Coast Reformer, Spectator and Champion but Mathrubhumi took a actively part in state freedom movement. Newspaper was founded by K.P. Kesava Menon. Newspaper is going to Provide Mathrubhumi Latest News, Mathrubhumi Astrology. Mathrubhumi circulates nearly 1.5 million copies. Zunjar Neta (झुंजार नेता) started as a Weekly Paper in 3 March 1965 after few months later it become a daily newspaper from 1966. Dada Varpe started Zunjar Neta. Zunjar Neta Newspaper started in Beed (Maharashtra). It is a Marathi Newspaper. Read the Zunjar Neta Epaper Online on official website. Read Other Marathi Newspaper also. Kerala Kaumudi (കേരളകൗമുദി), is the third largest circulated Malayam Newspaper. C.V. Kuhiraman founded Kerala Kaumudi Newspaper in 1911. It has two editions one is Malayalam and another is English.